Dedicated to Mrs Arthur Sharp by the author this is a super read based around the north-west of Scotland. The dedication reads as follows 'To Mrs Arthur Sharp - in the hope that its perusal may induce her to visit the scenes it endeavours to portray - from the Author'. Published in 1888 this is a series of reminiscences about this area of Scotland and will interest collectors and fishermen. 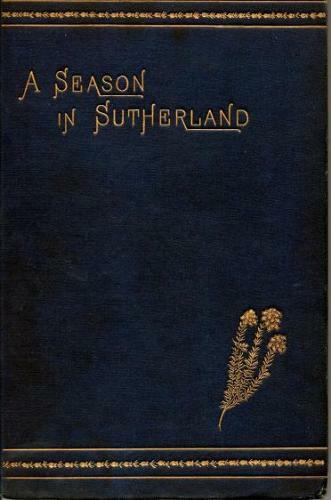 Externally good with corners bumped, bright gilt decorated cover. Internally vg with no noticeable spotting or markings.